I like things that sparkle. I'm a bit like a magpie in that regard, I guess. Or a five year old girl. I adore diamonds, but I settle for rhinestones, sequins and glitter. As long as it catches the light, I'm pretty much a fan. Naturally the sparkly shoe trend of late has me covetous. But just look at these pretties from Kate Spade. I. Am. In. Love. I know it's silly, but I just had to have a pair for myself, minus the hefty price tag. There are a ton of tutorials pinned on Pinterest for making your own glitter shoes, but this is the original pin from Rita at Suburbs Mama that inspired me. 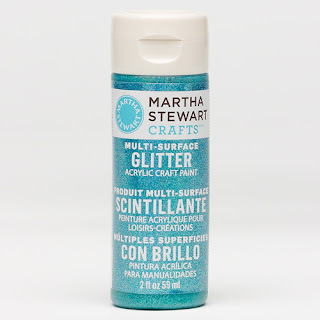 Martha Stewart Crafts Glitter Paint is an acrylic paint that works on nearly any surface without primer. It is super sparkly and comes in a wide variety of colors and seemed a lot easier to use than a glitter and mod-podge concoction. I painted on about a thousand coats of the antique silver paint. 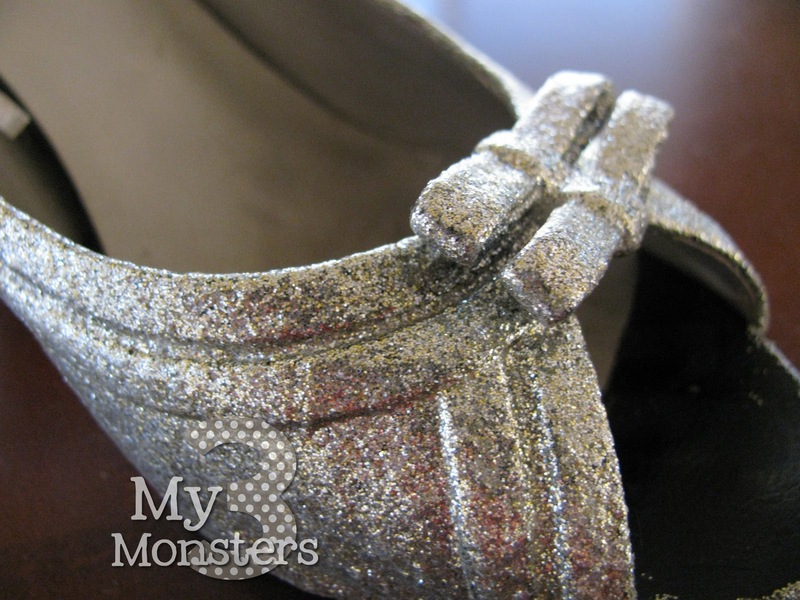 In hindsight, I probably should have spray painted the shoes a lighter color than black before I began adding glitter, but it came out OK in the end. I can't wait to start wearing them! Sis borrowed them last night because we asked the girls to come to Young Women in Excellence dressed as princesses, but technically they weren't ready to be worn yet. The paint bottle says to let the paint cure for 21 days, which is three weeks if you don't want to do the math yourself, so you can't make these and expect to wear them later that night. My hope is that when the paint cures they will be nearly indestructible. The bottle does say indoor/ outdoor, multi-surface, no need for primer. We'll see. Come back tomorrow for the super easy necklace makeover -- I've made a few adjustments to the schedule to get back on track. Have a great day! I LOVE these!!! 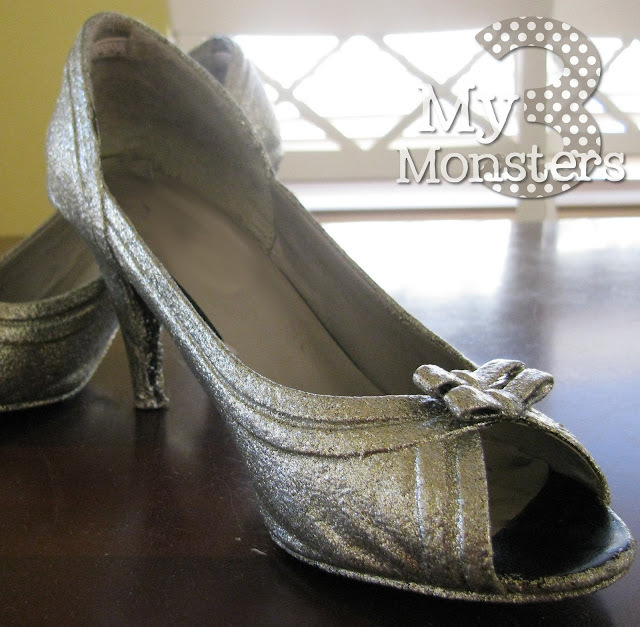 My little ones have a pair of flats that the covering has peeled off. this is the PERFECT way to fix them!!! thank you!